One of the best ways to achieve weight-loss success? Create a daily weight-loss calendar. It provides a solid plan of action to help you reach your goals and helps you remember and track your journey from start to finish. Here’s why a weight-loss calendar can be so effective. Many fitness and nutrition experts claim that tracking your progress is an essential part of any weight-loss program. A calendar can be a particularly powerful tool for some dieters because it provides constant visual motivation, showing you all the hard work you’ve already accomplished while also helping you stay on track. It doesn’t matter whether you use a calendar to track pounds, inches, calories, meals, workouts or water intake — whatever works to motivate you to try harder and stay the course is best for you. 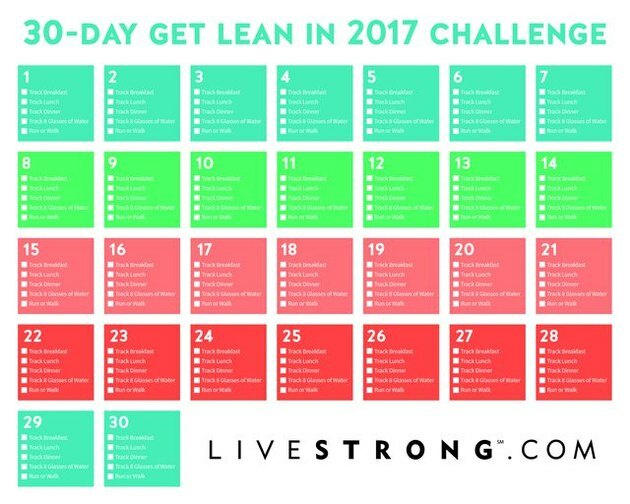 To get you started, we’re providing you with a free, printable Get Lean in 2017 30-day calendar. Print it out and use it each day to help you stay focused on your goals. Track each of your meals and snacks as well as your water intake and your physical activity. Then check off each box as you complete each task. Before you know it, it'll become habit! 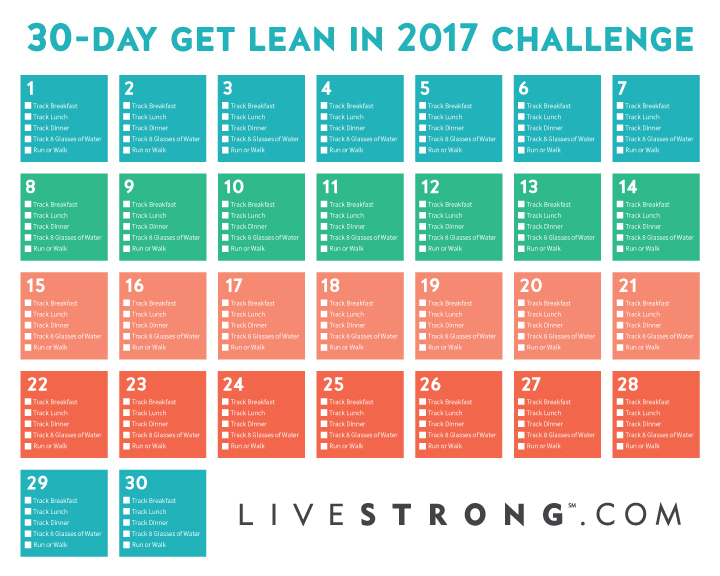 To read more on how to get started with the Get Lean in 2017 30-Day Challenge, click here. Do you use a weight-loss calendar? What tools do you use to help you stick to your diet and fitness goals?